The Perfectly Plant Based vegetable set contains mixed, pre-washed, frozen vegetables. All the vegetables are natural, additive-free, and non-GMO and some are also organic. 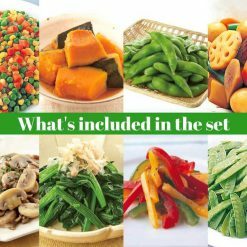 The Perfectly Plant Based vegetable set contains a variety of pre-washed, frozen and healthy vegetables. All the vegetables are natural, additive-free, and non-GMO. 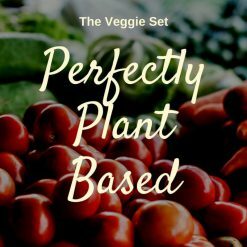 The perfectly plant based vegetable set is perfect to have in your freezer for quick and easy meal preparation. The vegetables work well in a variety of cuisines from Japanese, Chinese, Italian and more! Increase your intake of vegetables with these ready-to-cook vegetables.